Growing up just outside of New York City, Brian Grossi has been quick-witted and imitating those around him for as long as anyone can remember. In 2011, he decided to put those skills to use and try his hand at stand-up comedy. Despite being relatively new to the scene, he was invited to perform in Atlanta’s Laughing Skull Comedy Festival in March 2014. Since then, he has recorded his first television appearance as part of Popcorn Flix Presents Empire Tonight! and has appeared on TMZ. 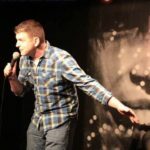 In 2014, he completed his first international tour, performing in Liverpool’s Hot Water Comedy Club, Manchester’s XS Malarky, The Madrid Comedy Club and Toronto’s North by Northeast Festival. In March 2016, he made it to the Sweet Sixteen of Caroline’s Comedy Madness competition. In 2017, he founded The Round-Trip Comedy Series, which produces stand-up shows all over the Northeast. When in New York, Brian performs every night. He has performed at The New York Comedy Club, The Broadway Comedy Club, Gotham Comedy Club, Caroline’s on Broadway and the world-famous Metropolitan Room, among others. He continues to win fans over using his unique blend of hard-hitting punchlines, spot-on impressions and unpredictable crowd-work. He was named Hugs, Kisses and Laughes Comic of the Month in December 2012 and his tweets have been featured on Grantland. He is a three-time winner of the Inspired Word’s LOL! Comedy Slam, and was recently seen on TMZ.